We have a vacancy for an experienced Project Architect to join our team with at least three years post Part III UK experience. The successful candidate will join a collaborative team to work on UK cultural and leisure projects won in international competition, and other innovative mixed-use schemes. Your role will be job runner on one or more projects. You will value architecture that is people centred and experience focused, have a passion for exploring the way architecture is made. — UK Job running experience of through all RIBA Stages in award winning refurbishment and new-build projects. — Proficient in AutoCAD and Revit. — Excellent 3D modelling skills. Rhino is a bonus. — Strong detailing ability with good UK technical knowledge. — Great communication skills with experience of building strong relationships with clients and project stakeholders. — Excellent organisational and time management skills. — Demonstrated ability to lead projects and meet programmes. — Ready to be a proactive part of a small collaborative team. — Applicants should be available for an immediate start. A competitive salary will be offered based on experience, and we are especially interested in appointing an individual with the capacity to progress to an Associate Director role. 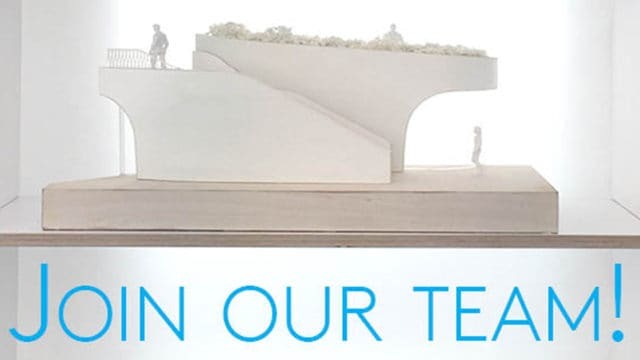 To apply, please email us your CV, portfolio, and cover letter with ‘15.10 Project Architect Lastname_Firstname’ in the subject line to work@nex-architecture.com. Total file size should be under 5MB. Closing date for applications is 24 October.